Because of the increased demand for legacy parts driven by automotive and IoT applications, an aging 200mm fab in the Pacific Northwest faced the challenge of higher-than-planned demand for devices with declining ASPs, while also meeting expectations of a broader portfolio that achieved higher yields. To meet these targets, productivity needs to remain high, which is difficult to do when automatic valve manifold box (VMB) control system components are nearing end-of-life. Finding replacement parts was challenging, and ongoing maintenance cost was high. The choice was to either replace equipment or explore other available options. 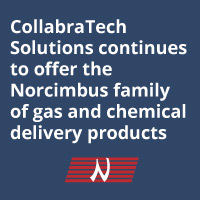 To find the right solution, CollabraTech Solutions performed a comprehensive assessment of the current equipment set as well as client process expectations. The collaborative fab audit resulted in a strategy to identify viable alternatives to decommission and replace failing 4- and 8-stick VMBs with new systems. We analyzed all the elements involved with a total system replacement versus replacing the controller only (models: AVMB4S and AVMB8S). In addition to reviewing cost, we looked at system downtime, disposal costs and technology. The audit revealed that the direct-controller-replacement option resulted in lower implementation cost and minimized downtime while providing access to newer technology. After delivering and installing the initial units, we continue to provide direct-replacement controllers as legacy equipment approaches end of life. Total retrofit downtime is less than one hour.